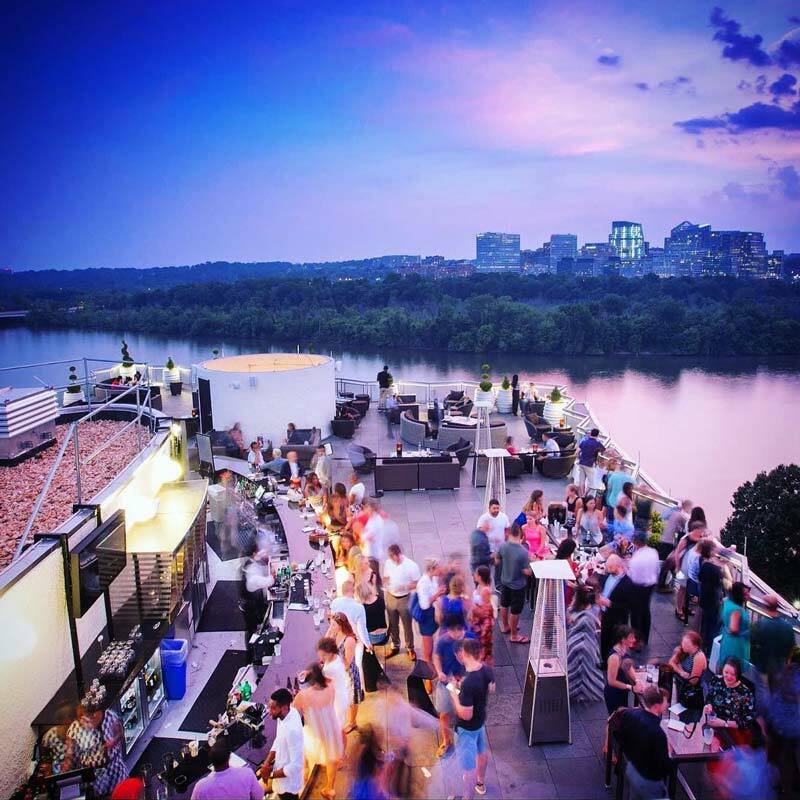 Pair Instagram-worthy views with a cool drink and delicious bites at these Washington, DC rooftop bars and restaurants. 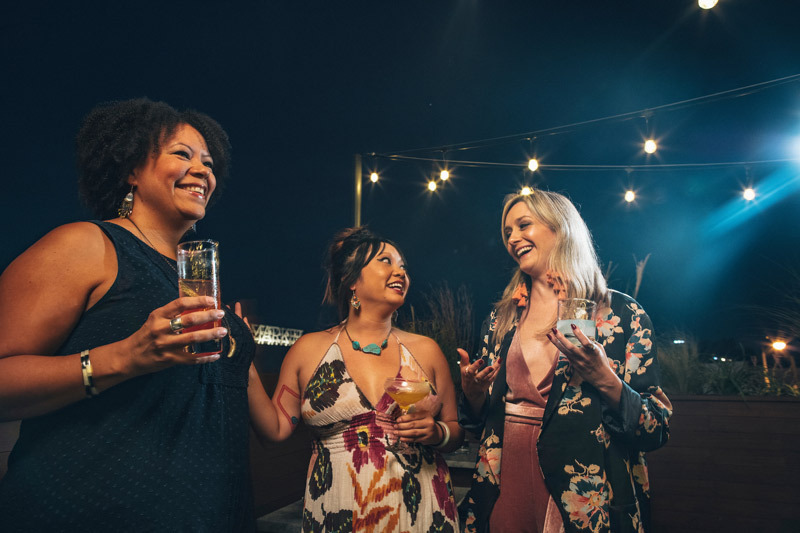 It's always the right time to head out on the town, find the nearest rooftop bar and order up your favorite cocktail or draft beer. 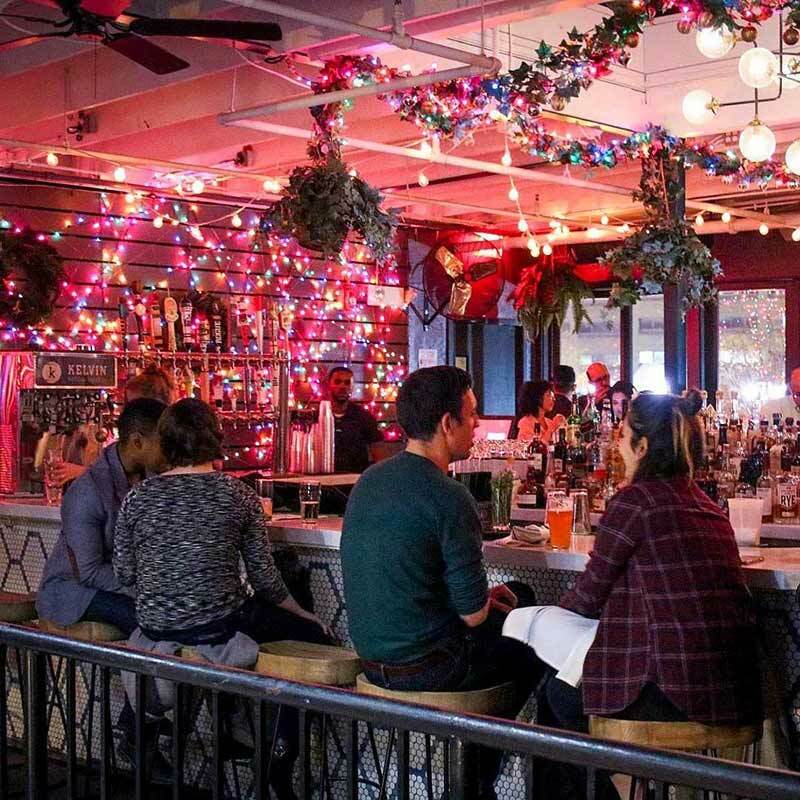 During happy hour or any hour, feel the breeze and ease back at these District locales that have set up shop up top for your warm weather pleasure. The luxurious Watergate Hotel is a centerpiece of the Foggy Bottom neighborhood. Head to the sophisticated Top of the Gate and take in 360-degree rooftop views of the nation’s capital while sipping specialty cocktails and noshing on artisanal pizzas. Overlook the scenic urban roundabout that is Thomas Circle and retreat poolside with a signature cocktail for extreme lounging. 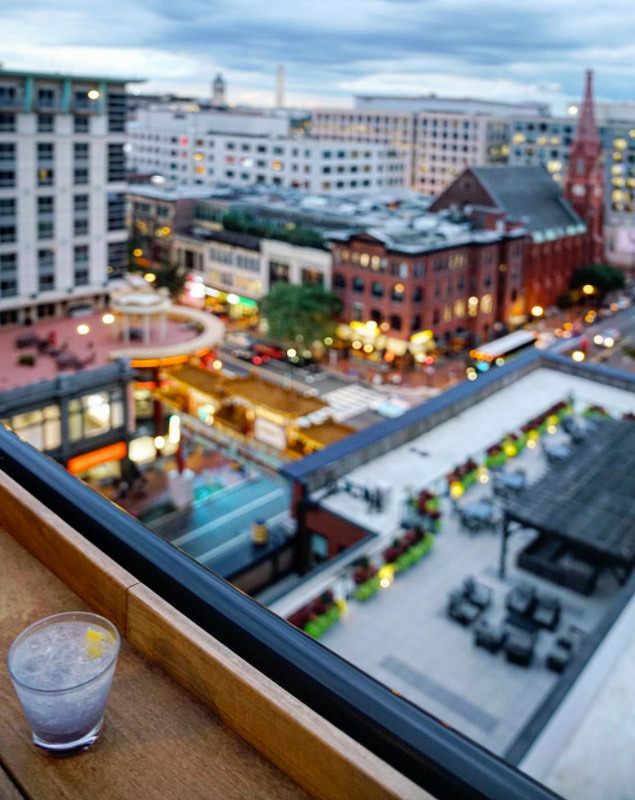 Note that the rooftop is reserved for guests of the Kimpton Donovan Hotel during daytime hours. 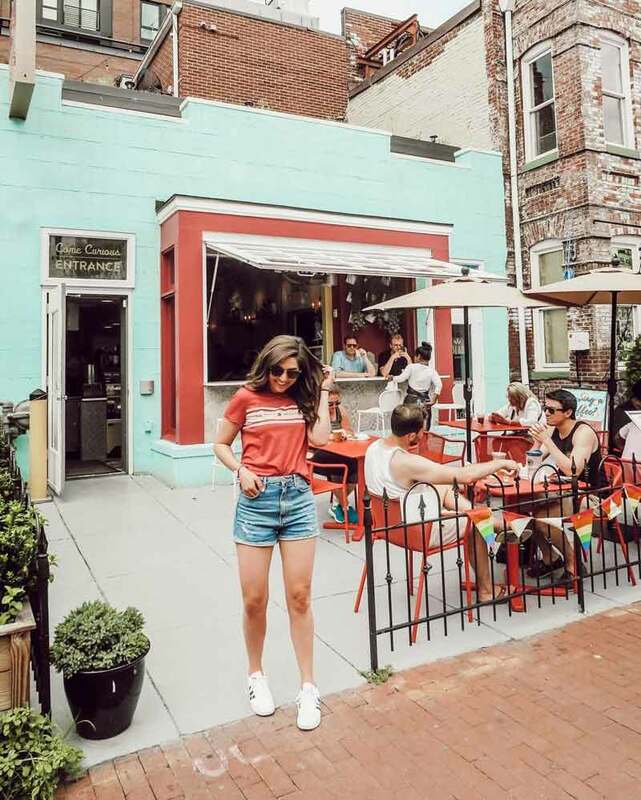 Survey the wonder of DC’s monuments from this terrace that doubles – no, triples as a bar and lounge. Saddle up to a table for a mid-day meal of crab cakes or herbed shrimp pizza. The cocktail culture kicks in at night (the space is 21 and over after 7 p.m.), sporting the perfect setting for mixing and mingling. Want to kick it like a true baller? 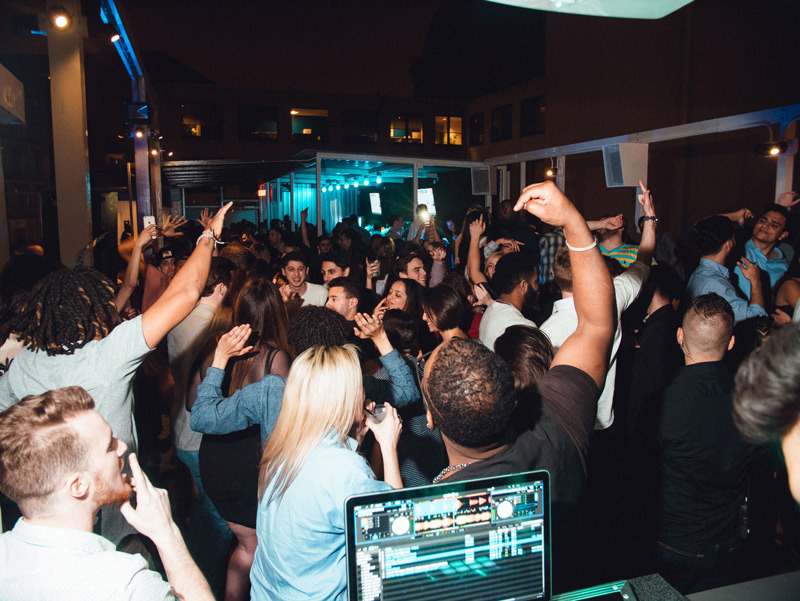 POV features reserved bottle service after 9 p.m. on Fridays and Saturdays. Please note that POV is currently closed for renovations and will reopen in spring 2019. Nautical vibes and top-notch cocktails are the name of the game at Whiskey Charlie, the rooftop bar perched atop the Canopy by Hilton hotel at The Wharf. 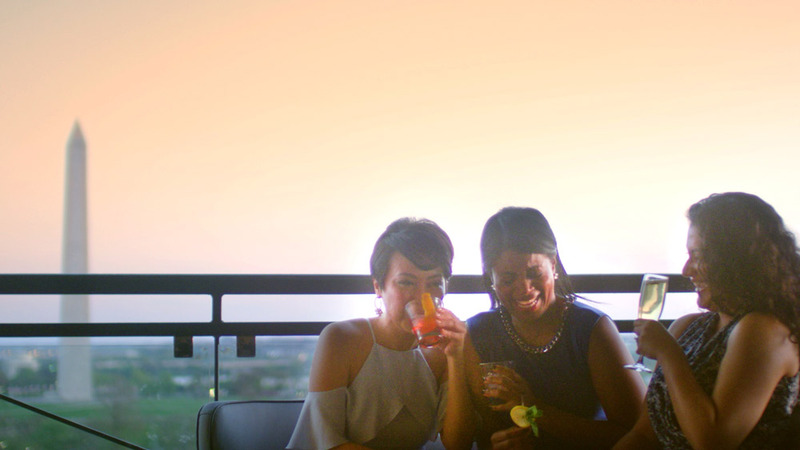 Catch the perfectly Instagrammable sunset while enjoying a range of delightful drinks – we’re big fans of the Old Scalawag (whiskey, Grand Marnier and bitters) and the Warm Spell (tequila, mezcal, pineapple, agave nectar, lime and a chili pepper tincture). Whether you’re visiting DC’s newest entertainment district for dinner or before a concert, you can’t go wrong at Whiskey Charlie. Get excited about sushi-with-a-view at O-Ku, the only restaurant near Union Market with a rooftop. While traditional sushi and sashimi reside on the menu, you’ll also be delighted by creative plates such as the wagyu nigiri with ginger cilantro oil and fried shiitake mushrooms. Accentuate the meal with a drink from O-Ku’s extensive sake, whiskey and cocktail offerings. 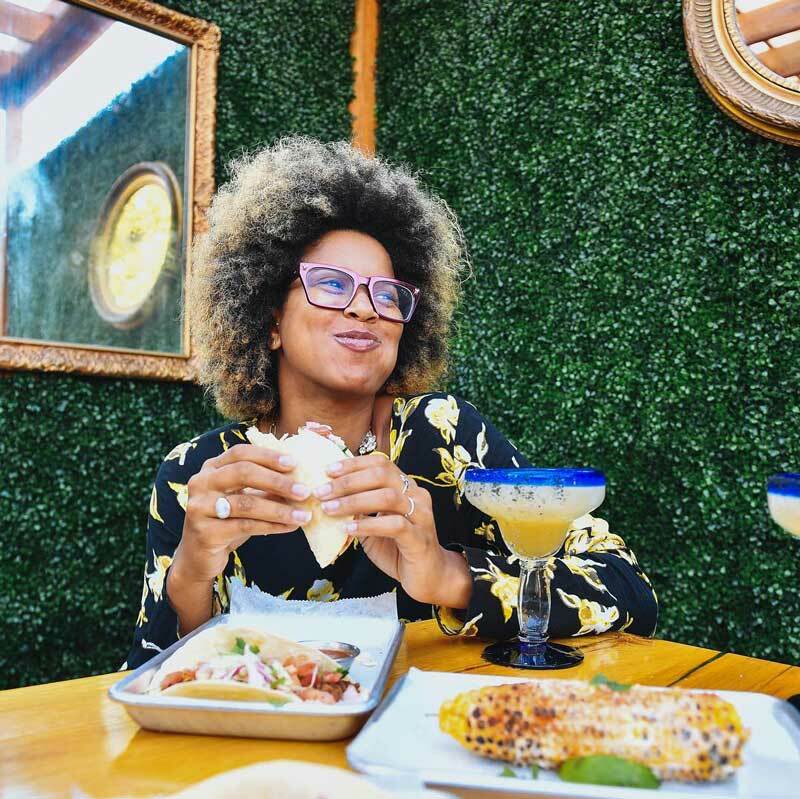 Billed as an “adult treehouse,” the turf-adorned El Techo brings the heat in Shaw with spicy margaritas and the creative Mexican street food you’ve come to expect from the downstairs Rito Loco shop. 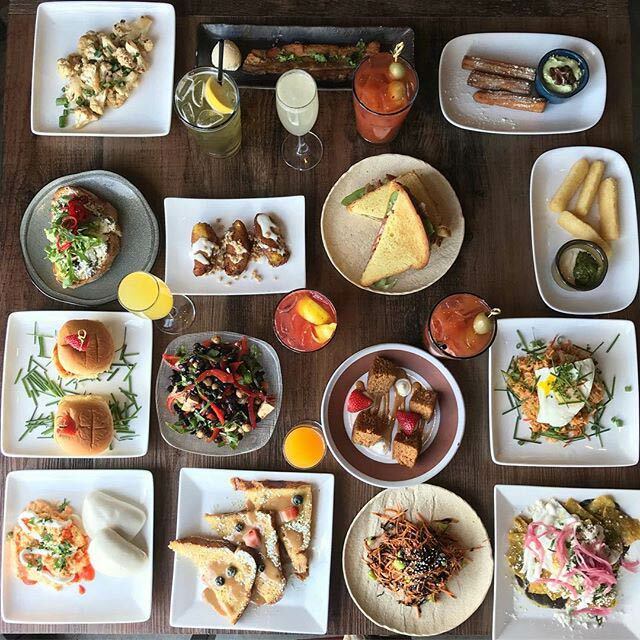 El Techo also offers Spanish-inspired tapas and a number of cervezas for the perfect warm-weather happy hour. 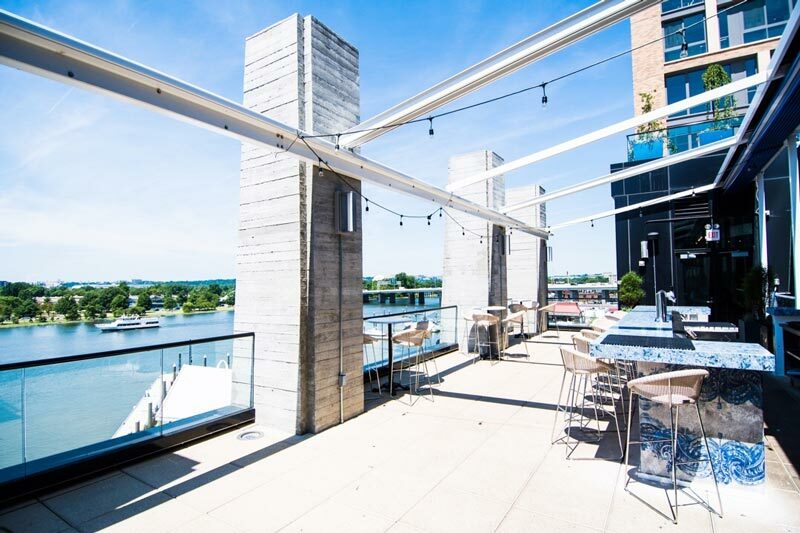 DC’s rivers do their best Riviera impression at La Vie, a stunning and sleek restaurant at The Wharf featuring views of the Washington Channel from its rooftop terrace. Sophisticated Mediterranean vibes abound as you choose from a cocktail list divided into “Refreshing,” “Bold” or ”Strong” options and take in the waterfront scenes. Golden hour at La Vie also means happy hour prices, with bar bites and sunset drinks from 4-7 p.m. Does a rooftop wine garden count? We certainly think so. Just north of Union Market you’ll find City Winery, which triples as a full-service restaurant and concert venue in the Ivy City neighborhood. The rooftop space is open year-round, offering more than 450 vino options. The garden also frequently hosts live shows, so make sure to check the schedule for the next opportunity to see a riveting performance in the unique outdoor setting. An adventure in Adams Morgan is not complete without a visit to Perry’s, a neighborhood staple that opened its doors more than 30 years ago. Enjoy the delicious Japanese fare and an extensive beverage list that includes wine, Japanese whiskey and sake while you relax at the year-round bar or on the seasonal rooftop terrace. 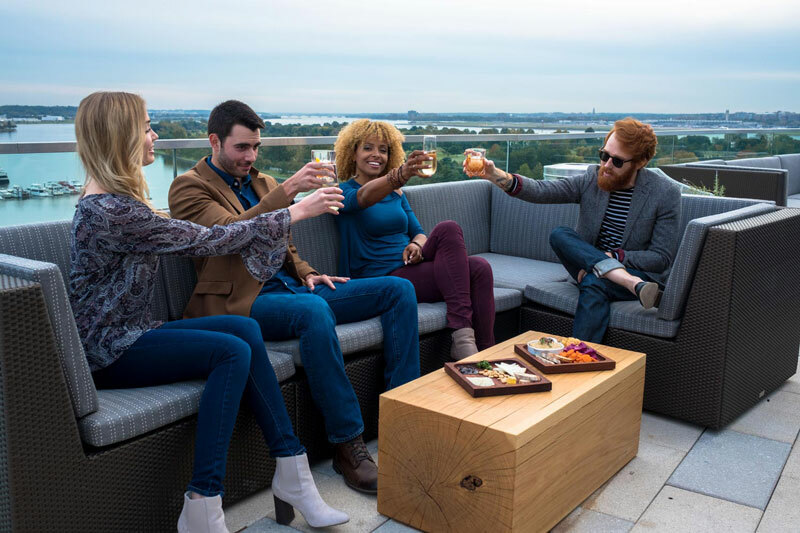 There’s perhaps no bar in DC that has more Natitude than Top of the Yard, which can be found on top of the Hampton Inn & Suites Washington DC - Navy Yard. 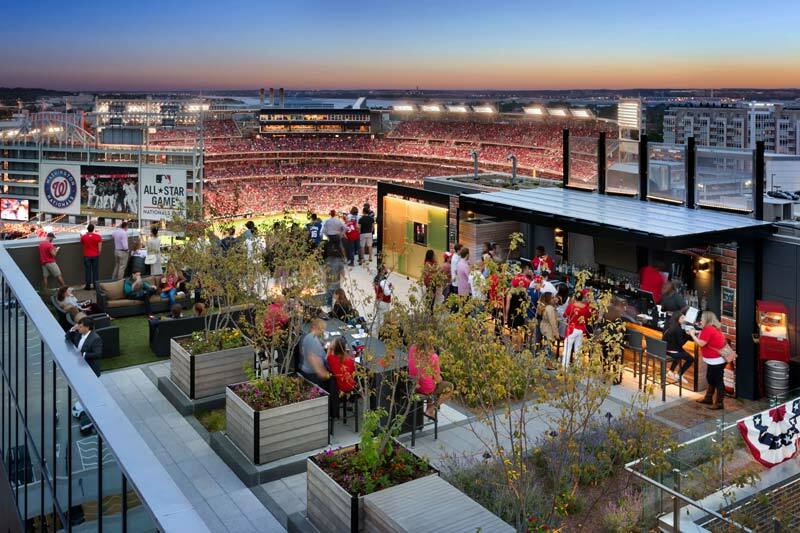 You can catch a Washington Nationals game all spring and summer while noshing on ballpark-themed bites and brews at this rooftop abode that overlooks the gorgeous Nationals Park. Take in some of the best views Chinatown has to offer at the Pod Hotel’s Crimson View rooftop bar. Before or after an event at Capital One Arena, head to the bar and choose from an extensive cocktail list that focuses on martinis and old-fashioneds. The brightly colored Colada Shop is a photographer’s dream. This Cuban cafe-bar hybrid is packed with pastel hues and good vibes, which extend to the dog-friendly patio and rooftop garden. Reasonably-priced bites bring to life diverse flavors and are best paired with a bold Cuban coffee by day and a cocktail by night. Head to the rooftop on Thursdays for a Caribbean-themed all-night happy hour starring $6 cocktails and $2 empanadas. This throwback dance club just dropped its loudest beat yet – a rooftop that tips its cap to raves of yore. You’ll feel Miami and Ibiza vibes as you dance the night away surrounded by palm trees, lounge furniture and vibrant lighting in a 2,500-square foot space. Creative cocktails like coconut-and-mango jalapeno margaritas and strawberry basil lemonade are available, and make sure to check out “Sunset Saturdays,” which includes barbecue and plenty of grooves. 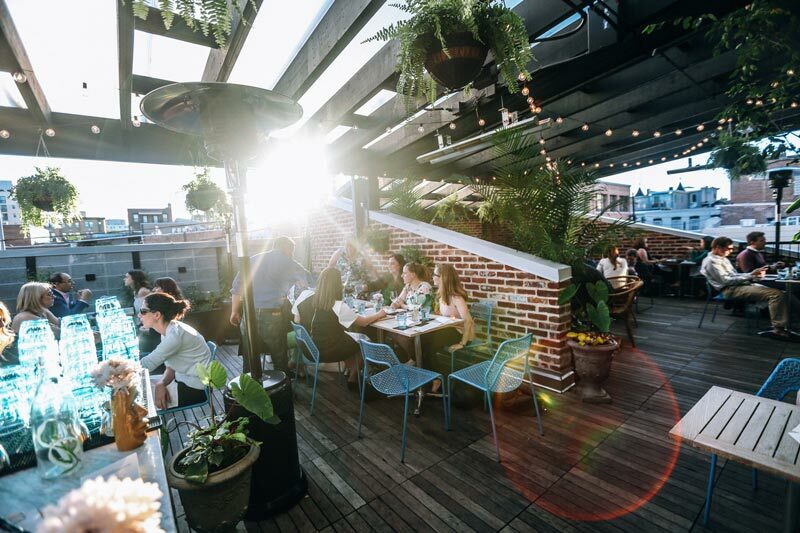 Sit poolside with a house-made cocktail under a cabana, tuck into a Kaiser roll toting tangy sausage and peppers or take in an incredible sunset from great heights at The Embassy Row Hotel's rooftop space. The matter-of-factly named Rooftop offers a full menu of top notch eats sourced from on-site, ground-floor hot spot Station Kitchen & Cocktails. The bird’s-eye-view of Dupont Circle is reason enough to visit, as is the rooftop morning yoga. Daily pool passes can be purchased $30 at the front desk. If you’re on the hunt for a Michelin-starred chef’s tribute to Italian cuisine, look no further than Nicholas Stefanelli’s Officina at The Wharf. This three-story market-restaurant-bar is also home to Terrazza, an alfresco rooftop bar inspired by terraces in the Eternal City. Take in gorgeous riverfront views all year (winter means cozying up by the outdoor fire pits) and imbibe with seasonal cocktails and a selection of bubbly. Terrazza can be enjoyed daily from 5-10 p.m.
Columbia Room, named the best American cocktail bar at the 2017 Spirited Awards, has a little-known secret: its a la carte rooftop punch garden. Creative cocktails from the mind of Derek Brown – a twist on a vodka punch stars sake, cucumber and pistachio, for example – can be sipped at this Blagden Alley locale ornamented with hanging greenery and Edison bulbs. Book a room at this elegant Capitol Hill hotel or purchase a day pass to enjoy its jaw-dropping rooftop, complete with a pool, lounge and a bar. Choose from light fare, including a Pressed PBM (peanut butter, marshmallow, honey, banana…mmm), and pair it with a canned craft beer, some rosé or an inventive cocktail. Then, it’s time to lounge above one of the most powerful neighborhoods in the world. This British pub has become a popular happy hour locale, situated along the nightlife hub that is U Street. Head upstairs to the roof deck for some memorable views, especially during sunset. And oh yeah, there’s some beverages and bites you’ll want to accompany your relaxation: happy hour means all draughts are $2 off and plenty of food options for under $10. 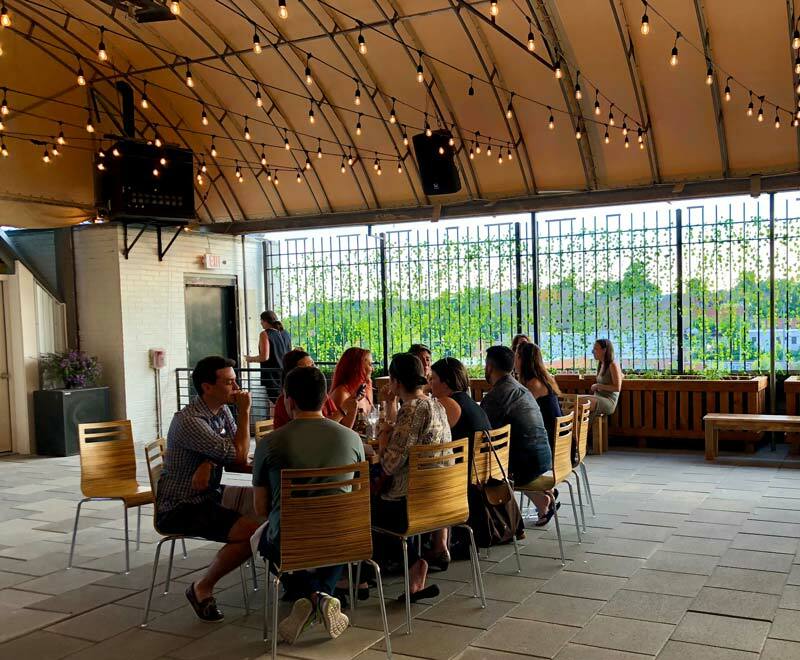 This Shaw neighborhood hot spot provides a garden-like atmosphere throughout the year, teaming up with its industrial look for a truly memorable bar experience. Of course, there’s plenty of beer to go around, with two dozen American drafts available in the 120-person rooftop area. Those who enjoy a little more kick to their drink can choose from more than 50 whiskies. 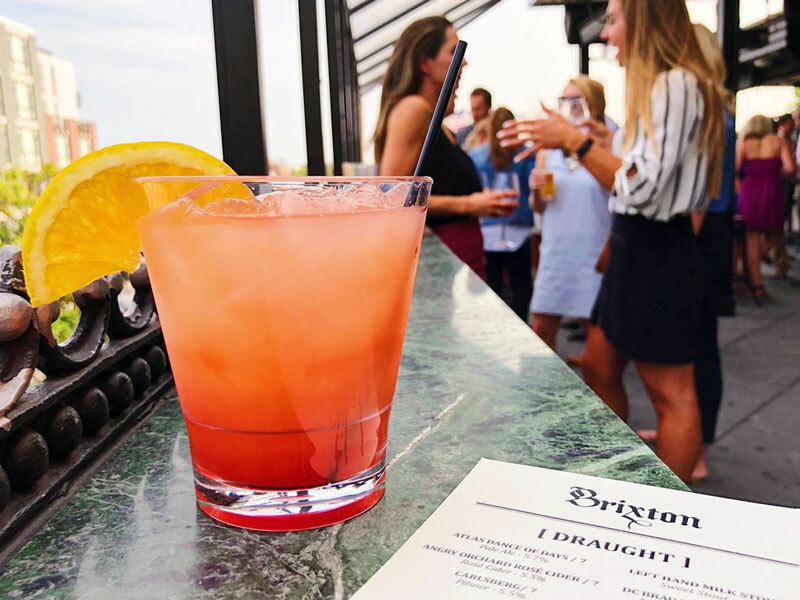 The Beacon Hotel’s Sky Bar comes to life once the weather gets warm, providing a scenic and peaceful recluse in the Dupont Circle neighborhood. Once you reach the rooftop, you will have a hard time leaving. Sip on a Sky’tini (try the Sky-Bar Aviator), order up some kale guacamole or shrimp spring rolls for the table and let the week’s worries drift away as you take in views of one of the city’s most vibrant neighborhoods. Given its namesake, you’d expect this Adams Morgan eatery to feature an open air option, and it does not disappoint. The third floor hub boasts spectacular views of the buzzing neighborhood, while also offering craft cocktails and a popular punch bowl. Try the hearty menu (sriracha honey-glazed chicken wings!) while living the good life at the horseshoe bar. 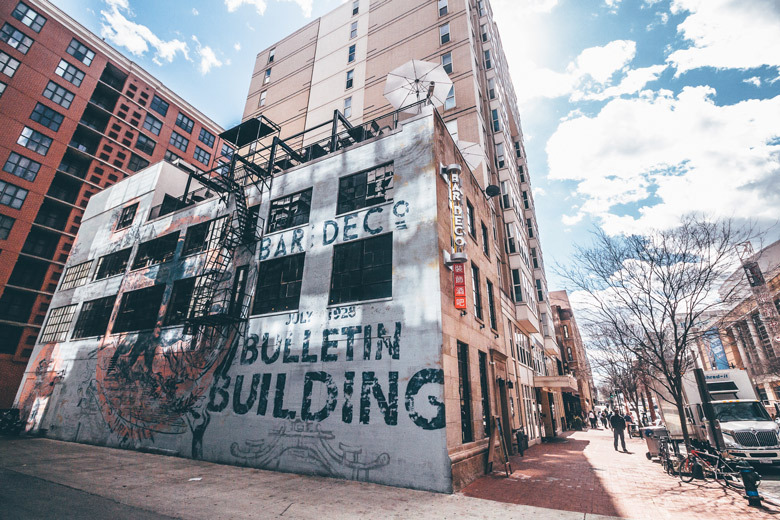 Get your dive bar fix at Red Derby in Columbia Heights, sporting a beer list heavy on cans to go with thoughtful beer-shot specials – who wouldn’t want to try Pabst Blue Ribbon with Fireball? 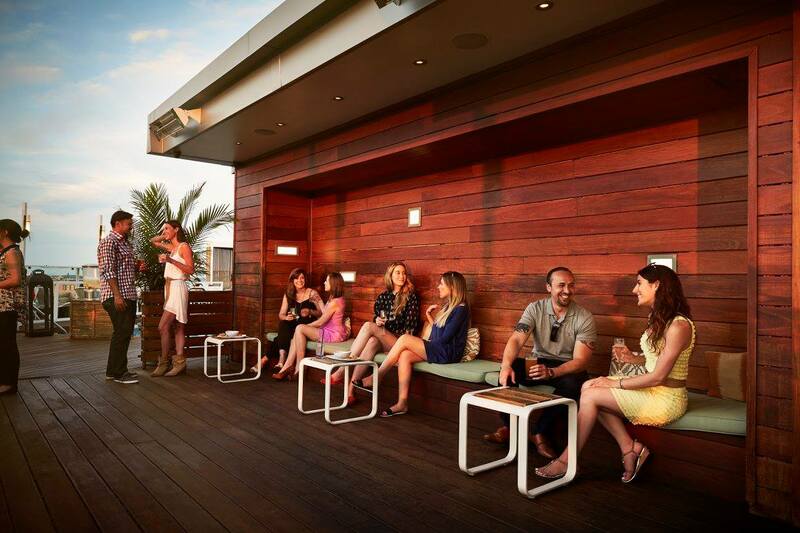 The rooftop deck bumps, providing a comfortable, hanging-out-at-your-friend’s-place atmosphere. The menu helps too: bar food like mac and cheese wedges and tacos sound perfect paired with a can of Natty Boh. This 9th Street club plays host to all kinds of buzzworthy indie rock acts. However, a walk up to its top floor reveals a rooftop haven primed for a soiree. Choose from an inventive menu – we recommend the South By burger or the pimento-infused grilled cheese – and sip an ice cold brew either before or after a show. 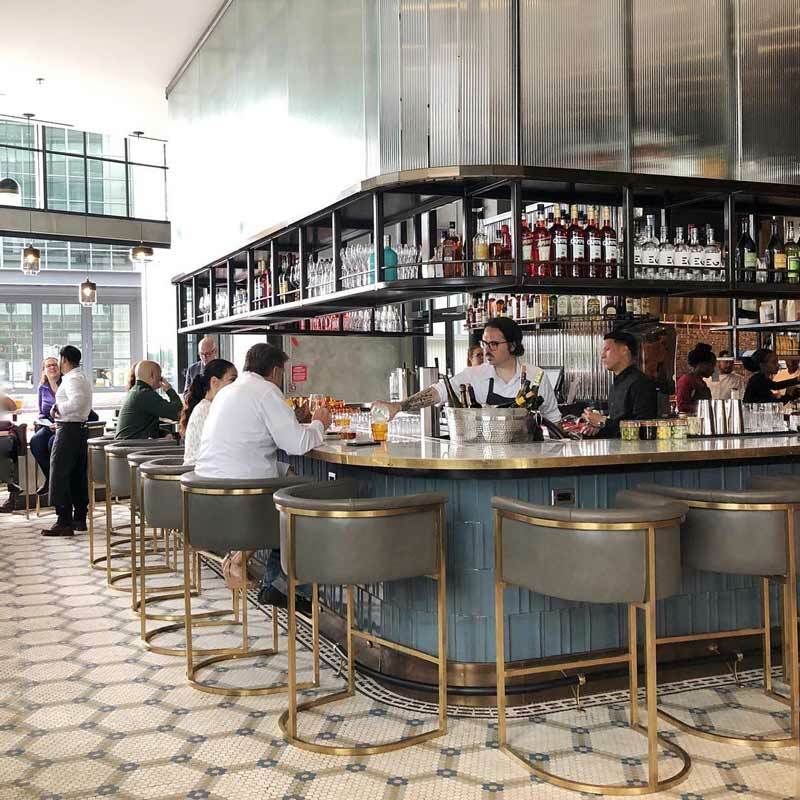 Located in the heart of Chinatown, Bar Deco harkens back to the art deco movement, from its decor to a streamlined menu that mixes national and international flavors. The scenic rooftop sports its own drink menu, including an extensive list of artisan cocktails, wine, liquor and beer – yes, you can order pitchers for the table! Order up some Deco Wings or loaded nachos during happy hour and you’re good to go. The Latin-American fusion of Masa 14’s menu, created by acclaimed chefs Richard Sandoval and Kaz Okochi, offsets the spacious elegance of the rooftop area to create a stirring experience. Stop by between 5 and 7 p.m. for happy hour and you can enjoy a slew of items for around $5: beers, cocktails, wine and a selection of creative small dishes, including Bengal rolls and wok-seared edamame. 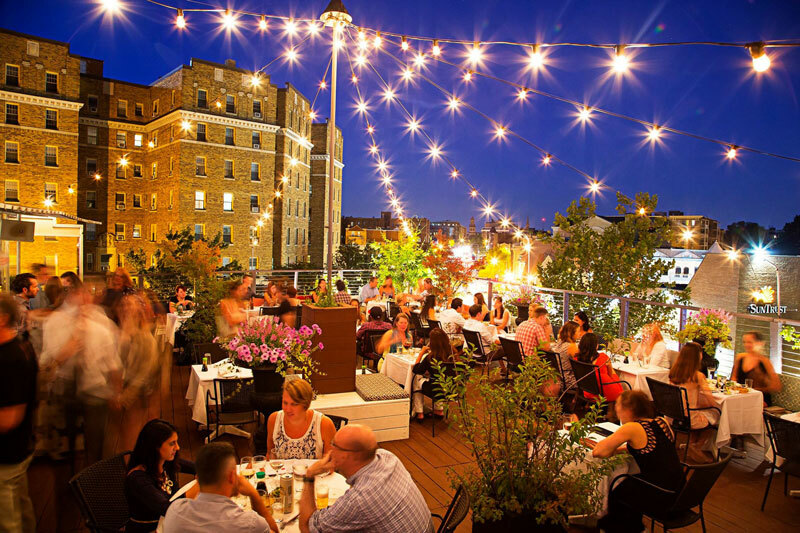 Named after DC legend Marvin Gaye, this U Street hangout carries quite a reputable rooftop hangout. Scarf down its take on soul food with a Belgian twist, including country fried chicken and waffles, while you sip on a classic mimosa on the deck. Bookmark Marvin for brunch: every Saturday and Sunday afternoon you can hear DJs spin while enjoying drink and sandwich specials. 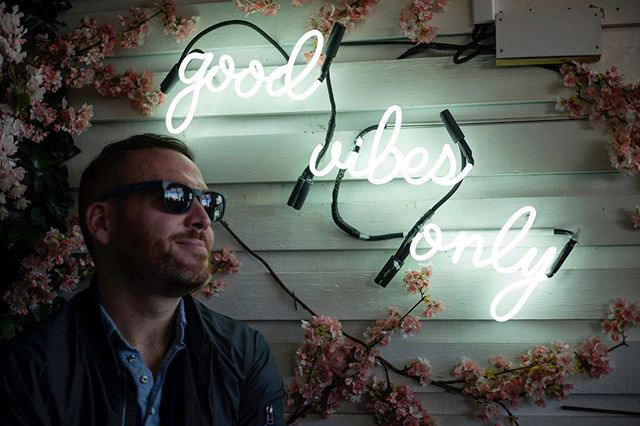 "Good vibes only" isn't just the motto at 801 Restaurant & Bar, it's also the first thing patrons see (illuminated in white lights) when reaching the top of the stairs at this rooftop bar straddling the U Street and Shaw neighborhoods. If you're with a thirsty group, try the signature 801 Mega Mule – a multi-person Moscow Mule served in a massive copper mug.